The hype surrounding Foals borders on hysterical; they’ve been touted as “ones to watch in 2008” by the majority of the UK music press on the strength of a brace of singles. On first appearances their zeitgeist uniform of skinny jeans and over-long fringes would suggest yet another jerky pop-punk band in the vein of Bloc Party. The one element of hope? Their back story, choked and gurgled through the press as it is, suggests they have paid their dues and haven’t been elevated to fame simply because singer Yannis Phillipakis is easy on the eye. Drummer/singer Jack Bevan broke from experimental math-rock outfit the Edmund Fitzgerald to explore something more fun. “Fun,” here, is relative; a musician who has Sweep The Leg Johnny as a major influence ain’t going to knock out multi-colored pop like Gwen Stefani. 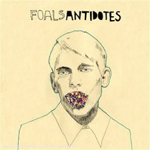 Foals’_Antidotes_ is related to Battles’ Mirrored (2007), although most reviews tend to describe a simple-minded cousin rather than an equally ambitious brother. But Battles-lite would be an unfair shorthand to describe the overall sound of the album—there’s something else at play here. 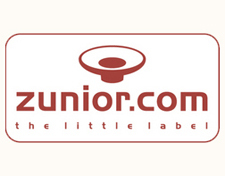 The faster tracks are infused with a clear dance edge and the brass and nervy bass hint of post-punk bands like Rip, Rig & Panic and the Pop Group. The production is bright, lending the guitar lines of Yannis Phillippakis and Jimmy Smith the glint and gleam of Afrobeat. The horns honk countermelodies, the bass jumps at odds with the kick-drum and occasional polyrhythms, and subtle Reichian looping refrains are introduced through electronic flourishes. More importantly, the songwriting does not feel like it was plotted out on graph paper. You can hear it in the heady rush of singles “Balloons” and “Cassius” or the intoxicating break of “Two Steps Twice” when a rigid waltz bursts into a shuddering two-step without tripping over its own feet. This is definite feel music, building organically as though each track had been explored via lengthy jams. When performing live, Phillipakis is side on to the crowd, the band forming a circle, each of them eyeballing the other to follow where the song may go next. Lyrically, Phillipakis may have missed a trick. Whereas Bloc Party have filled their songs with teenage angst and, ill-advisedly, the shallowness of fame (as if we need another vanity project on that subject) meaning is illusory on Antidotes. That’s not to say it is completely negligible. There are the suggestions of themes, like figures of smoke and rumor rather than flesh and bone. Words are clustered abstractly, but sometimes delivered with vitriol and venom so that they seem to warrant attention. For example, on “Balloons,” delivered in Yannis’ warm yelp (like a chestier Robert Smith), he breaks the feel to shriek a reference to a Native American tribe, the Chickasaw—the only deviation from declensions around “We fly balloons on a fuel called love.” It’s a strange thematic leap but this is the same free-association that littered the Pixies’ catalogue. And as with Pixies’ songs I don’t know what it means but I think I feel what it means. More often than not, though, the words appear to be chosen for their texture or onomatopoeic qualities. Opener “The French Open” is symptomatic of Yannis’ approach. A phrase is established and looped like a mantra. Select words are singled out and punched forward like punctuation to add colour or herald in a new guitar line or a drum break. The vocal line is part instrument, part conductor; if offers not just another sound or rhythm but direction. It’s only on “Olympic Airways” where the lyric runs longer than six or eight lines. This economic use of language limits any portended storytelling opportunity but simultaneously opens the songs out to greater interpretation. Of course, stripped from any academic analysis, though, Yannis may as well be scatting throughout. It’s good scatting, however: the emotional gravitas from his performance seems to be what attributes the meaning to the text. Where does this place Antidotes? I think it would be easy for fans of last year’s CMG favorite Mirrored to dismiss the musical experimentation of Antidotes as being too slight, deeming Foals unworthy of the praise (or the comparisons to Battles). 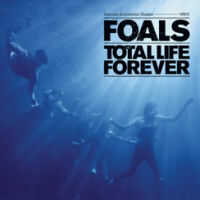 It would equally be true for fans of Bloc Party’s emotional dance-punk to see Foals as Johnny-come-latelys. Ignore them. 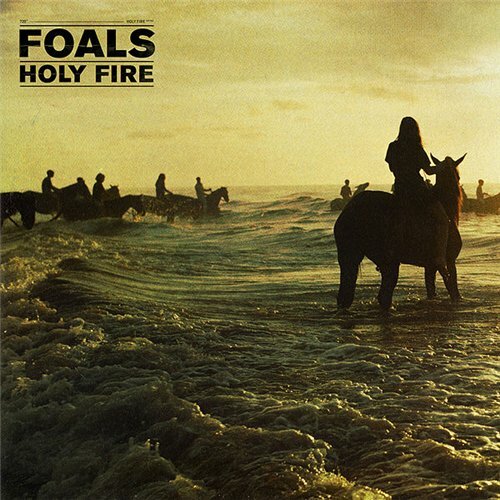 Foals are a tight band with hook-laden grooves. Not worth the hype, but definitely worth keeping an eye on.